A brand new company in San Francisco called ReGrained is trying to change what breweries do with their leftover grains. According to ReGrained, only about 10 percent of the ingredients used in the brewing process actually turns into drinkable beer. The rest of the leftover malts and grains makes up hundreds of pounds of waste. Since there is so much waste in the beer-making process, ReGrained figured they might as well eat it. As of November 28, 2018, ReGrained has upcycled 48,841 lbs of leftover supergrain. After the brewing process, leftover grains are filled with healthy fibers and protein. ReGrained uses these leftover ingredients to make beer granola bars. Not only are these beer granola bars healthy, they taste good too. The bars have a great texture and are sweet with subtle beer flavours. ReGrained wants to eventually use leftover beer ingredients to make chips, cookies, and breads. The company’s slogan is “Eat Beer”, and at only $1.88 a bar, that’s exactly what they’re allowing their customers to do. Video: ReGrained — Eat Beer! 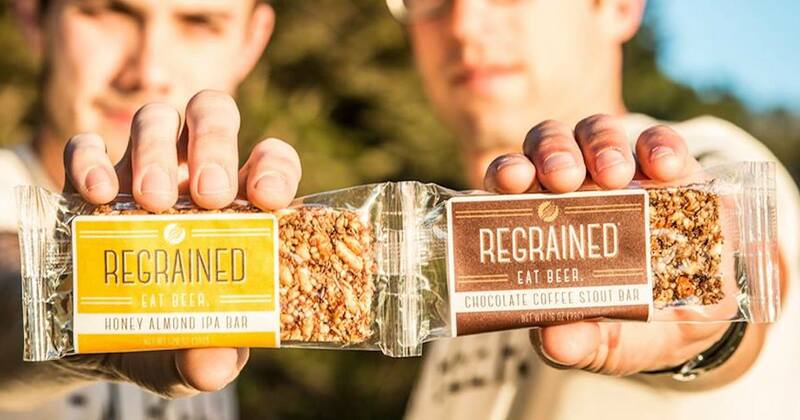 For more information about ReGrained and where to find their beer snacks, check out their official website.